Yuma Elementary School District ONE began the journey of Personalized Learning over two years ago and we went all in --17 schools and 9000 students all at once. At the start of school, iPads were distributed to all students and 490 teachers -- many staff and students had never even held an iPad prior to the distribution. Not only were devices deployed, but digital programs were ready to go. 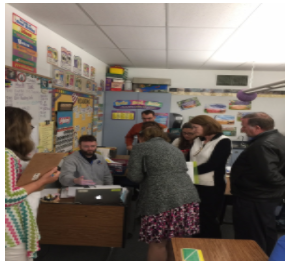 Teachers were learning how to use the devices, navigate programs and personalize instruction while also getting to know their students and teach them content in a new way. A massive undertaking was underway. Teachers worked hard to understand the digital programs and to use them faithfully to begin the steps of integrating technology and personalizing instruction. This was a new vision for many of our teachers and it required them to rethink their pedagogy of teaching. It wasn’t easy, but from the start it was powerful. Our district and site administrators knew all of these questions were swirling around in conversations at professional learning communities (PLCs) and site meetings, as teachers worked together to share ideas and design lessons. We loved that they were asking because it meant they were learning, growing and iterating but we knew it was more than that. Without a doubt teachers are the key to implementing personalized learning and building momentum with district and site goals, and yet we could also see by their questions that they were struggling and needed more support. Our teachers needed more guidance and someone on site who would support them with new ideas, vision, clarification and a vision of what PL might look like in different content areas and grade levels. Realizing we needed a clear system as a district and at sites to support teachers, we stepped out of the box and created a personalized learning (PL) site leadership team. Then we went even bigger and created a district level PL Facilitator. We believed building a strong PL site leadership team and supporting those site leads with a district level PL facilitator unified the district vision, yet allowed sites autonomy to personalize the professional development at their sites. So, where are we today? It is two years since we launched and a year since we adapted to better meet teacher needs. We currently have personalized learning site leadership teams that consist of site administration and teachers at every school. The PL team supports teachers and staff on site with the implementation of personalized learning. Each site administrator selected one team member as their PL Lead, who then participates in the district PD and collaboration sessions led by our district PL Facilitator. We have found it to be essential for PL Leads to have opportunities to collaborate with other site leads to discuss and share successes and struggles. Knowing this we have carved out time and modeled different learning experiences to broaden their leadership toolbox that can be used in and out of the classroom. Our Leads brainstorm about personalized learning and strategies they use at their own sites; they discuss how technology is being implemented to meet the various needs; how schedules are modified, and they collaborate to build trainings to deliver at sites. 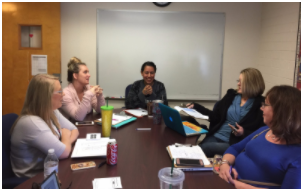 To create opportunities for this level of collaboration on a regular basis, the district PL Facilitator arranges half day professional leave time and provide quarterly professional development sessions during this time. To further develop leadership and momentum, additional team trainings focus on the personalized learning vision and implementation. Additionally, we have regular support sessions with Education Elements, delivering PD that supports the PL leads. The focus is leadership capacity: team building activities, honing leadership skills and gaining confidence to lead their site team and colleagues. PL Leads also have opportunities to plan together with the support of our district level Instructional Coaches to co-facilitate district professional development. The PL Leads are knowledgeable about their own school sites and desire to share and learn what other sites are doing in our own district. 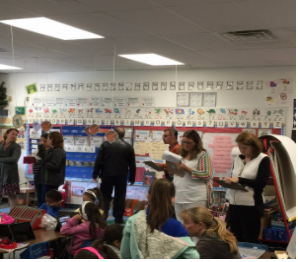 This is accomplished when the Facilitator arranges site visits across schools to see personalized learning in action. Leads observe classrooms and debrief about what they see, and take back their new knowledge and excitement to their site team, administrators and colleagues. As a result of sharing the positive experience, principals are now taking steps to have their teachers visit other sites to see examples of PL in our district. 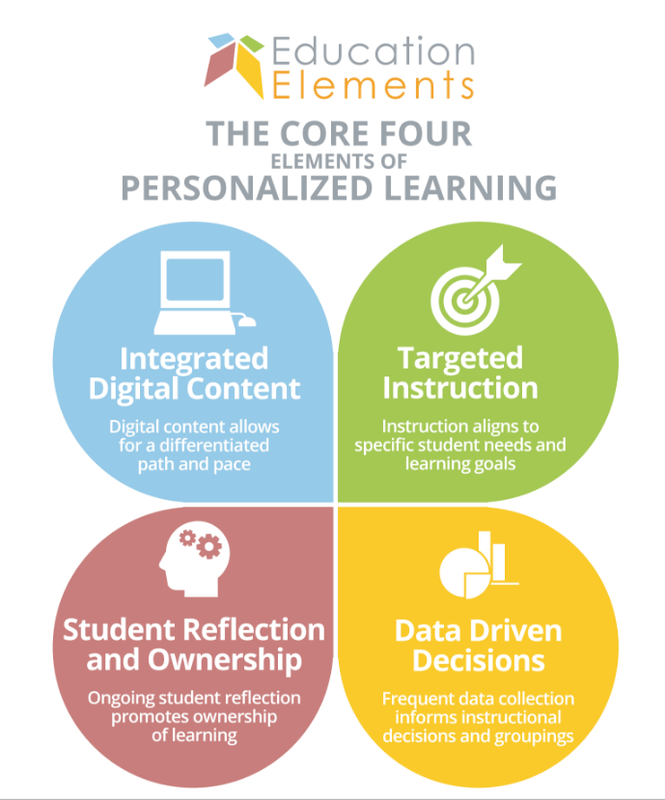 We must continue our journey of personalizing learning for ALL students and ALL teachers. As so many educators have limited budgets, it is even more important to become innovative with our resources. Developing a team with a clear picture of the roles of the PL team, PL Lead and PL Facilitator is helping our district build that leadership capacity we need to drive sites and the district’s vision. 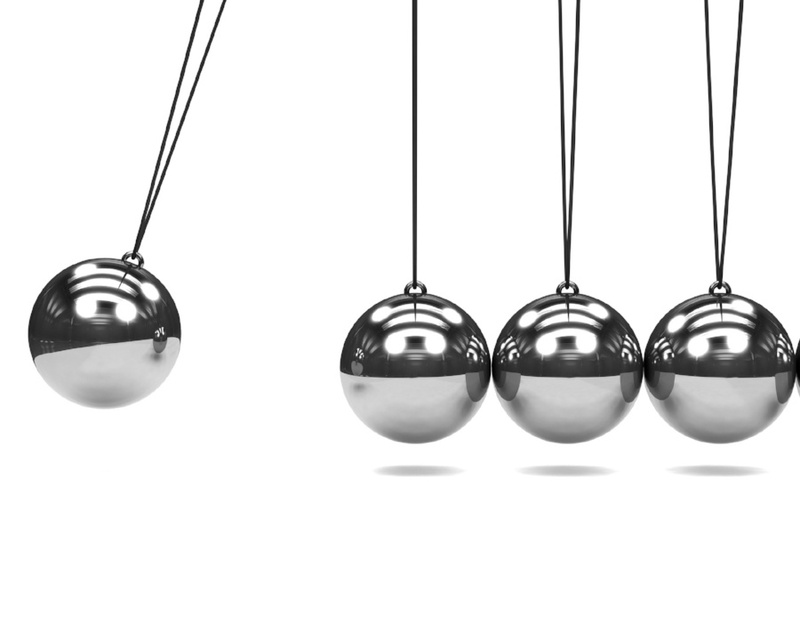 How can you build leadership and momentum for a vision you have at your site or district? Discover untapped resources you have and be creative in supporting teachers and administrators to reach new levels of excitement, passion and risk-taking to ignite momentum and vision. Or come and visit us!